As you know, one of the great innovations of Minecraft 1.6.2 are horses. These can be equipped with armor, but you can’t craft them. 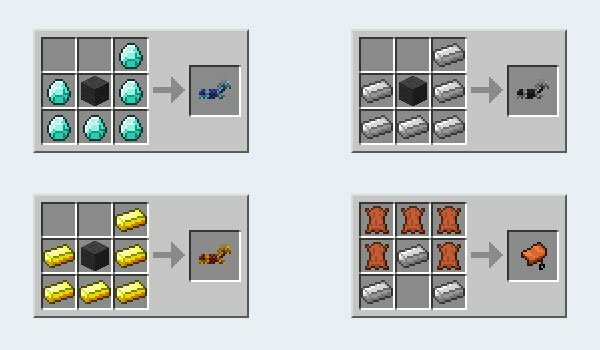 Craftable Horse Armor 1.7.2 and 1.7.10 is a simple mod that adds just four crafts to the game. One for iron armature, one for gold, and thirdly the diamond, all this about horse’s armor. The other craft is for the saddle. Simple, fast and practical, without this mod we only could get them from dungeons and could not be crafted. How to install Craftable Horse Armor Mod for Minecraft 1.7.2 and 1.7.10? Download SKC Core 1.7.2 or SKC Core 1.7.10. Paste the “SKC Core” downloaded file, inside .minecraft / mods folder. Horse’s armor and saddles ready to be crafted!